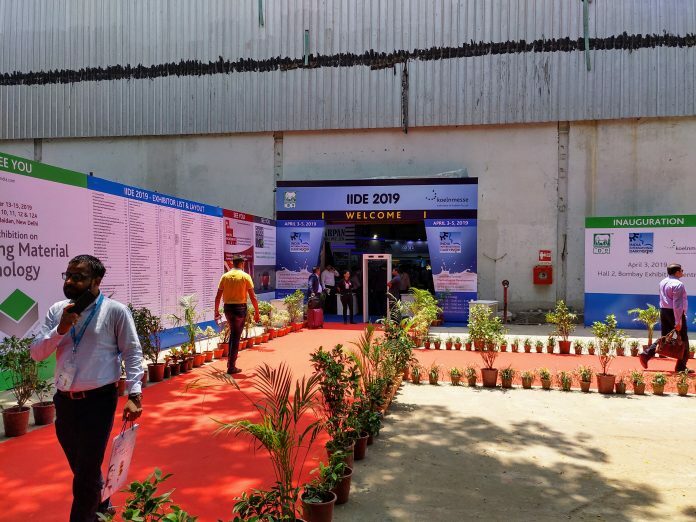 India International Dairy Expo (IIDE) 2019 is taking place in Mumbai from 3-5 April. The 2019 edition of the India International Dairy Expo (IIDE) opened in Mumbai to a good response. The expo is taking place from 3-5 April at Bombay Exhibition Centre in Goregaon East. It is being organized by Indian Dairy Association, West Zone and Koelnmesse YA Tradefair. Indian Dairy Association, West Zone is also organizing a concurrent seminar on ‘Innovation & Technological Growth in Dairy Industry’ deliberating on various aspects of technological innovations and packaging solutions to meet the demand of the dairy industry in the country. The expo, spread over an area of 8,000 square meters, has more than 200 exhibitors from the wide spectrum of dairy industry from veterinary, dairy farming and farm equipment, plant and machinery, processing, ingredients, packaging equipment, refrigeration, automations, logistics and allied services. The previous edition was spread across 7,500 square meters with 187 exhibitors. In terms of packaging solution providers, there are companies like Hyderabad-based Lorven Flex and Sacks, Mumbai-based Kris Flexipack, Mumbai-based Parksons Packaging and Tetra Pak India, among others. Rigid packaging solution providers like Moldtech Packaging are also exhibiting at the expo. There are also packaging machine manufacturers like Pune-based Nichrome as well as global players such as Sidel, KHS and Serac. The visitors to IIDE 2019 include dairy products manufacturers, co-operatives, dairy farms, dairy professionals, scientists, farmers, government agencies and policy makers.